Congratulations to Matt Ballard, our Digital Business Adviser who has recently reached a major milestone at Cosmic: his 100th client in the Growth Support Programme. Matt delivers a wide range of digital business advice to organisations participating in the ERDF Growth Support Programme. This programme is in place to support existing businesses within Devon and Somerset wanting to grow, expand or wish to have an outside view on how their current business is progressing. This could include assessing digital opportunities and a financial understanding along with the option of looking at innovation and marketing within their businesses. Since the early May, Matt has worked hard to provide digital audits and advice to over 100 business clients - a fantastic achievement. He has many hundreds more to visit over the coming years, but this is a strong start. “Matt’s support was informative and helpful. It enabled us to look at our business from different aspects”. “Matt was efficient and knowledgeable and covered a large amount of relevant content during the session. Congratulations to Matt for a great start. 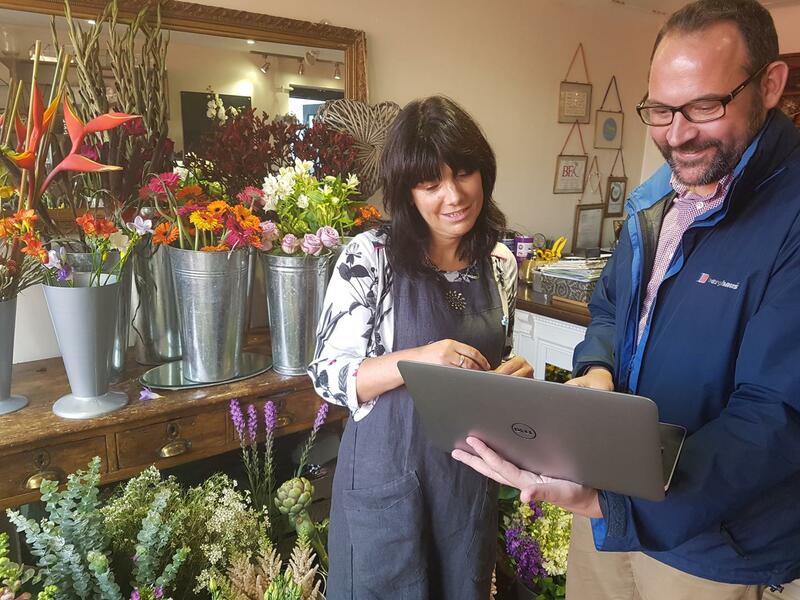 If you feel your business could do with the sort of support available through the ERDF Growth Support Programme, then click here to find out more.